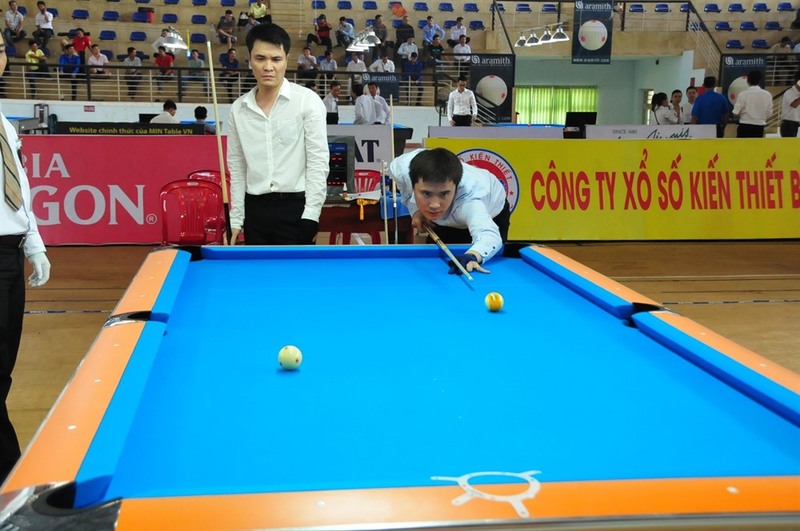 HÀ NỘI — The first round of the National Billiards and Snooker tournament 2019 started yesterday in Bình Phước Province. The tournament was co-organised by the Việt Nam Sports Administration and Bình Phước Department of Culture, Sports and Tourism. It is held to promote the celebration of 73 years of Việt Nam Sports Day (March 27, 1946), 44 years of the liberation of the South of Việt Nam (April 30, 1975) and 44 years since the liberation of Bình Phước province (March 23). The event includes the participation of 700 players from 29 cities and provinces across the nation. They will compete in six categories: three-cushion billiards, cushion carom, snooker 6 red-ball, English Billiards, pool nine-ball, and pool ten-ball. This is the first time Bình Phước has hosted a national tournament.